A healthier workforce means a happier workforce. Employees are the most important part of any business and having happy and motivated staff is crucial to the success of any company. 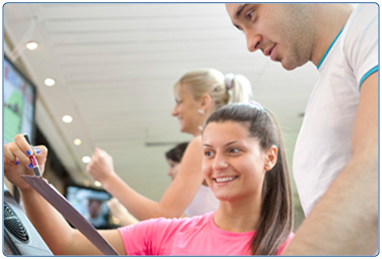 South Lanarkshire Leisure and Culture has a network of leisure centres and fitness suites throughout the area. Many of these centres have swimming pools, health suites and fitness studios providing first class equipment and facilities. We also provide an extensive range of classes including body pump, spin fit, yoga, body balance, aerobics and zumba suitable for beginners and those looking for a full workout. South Lanarkshire Leisure and Culture offers a corporate discount to all employees who wish to take up one of our range of membership packages. These are available for as little as £1 a day. Why workout anywhere else? Download our Corporate Membership leaflet and see what we can do for you and your business. If you would like to find out if your employer is part of our corporate family please check our list of Corporate Partners. For more information on our corporate partners simply enter your details here and a member of staff will be in touch. Alternatively simply ask at your local Leisure Centre or call 01698 476193 or text offer to 61211. Now it is even easier to become a corporate Fitness, Swim or Health Suite Member. You can join online from the comfort of your own home with Join@home.